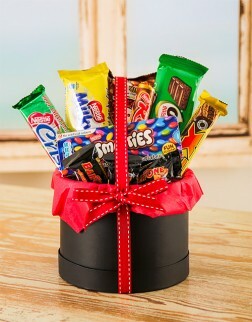 Need to send hampers and gifts to Durban in South Africa at affordable prices? Choose from a range of quality hampers, gift baskets and gifts, including decadent chocolate hampers, food hampers, wine and spirits gifts, bath and body hampers and more... you can even create your very own custom hamper. All our gifts and hampers are available for delivery throughout Durban. I wanted something a little different and being in Australia made it a little difficult to decide who. I emailed and then called Lizé from Flowers for Africa after visiting their website; she helped with great advice and service beyond my expectations. Flowers for Africa delivered flowers at a great price that blew my wife, on holiday in Durban, away. A surprise that earned me points big time and brought tears of joy to my wife.